Welcome to Athletics on the sand!!! 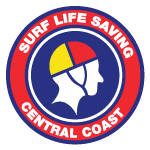 On the 23rd September 2017, in conjunction with Athletics NSW, Central Coast and NSW Surf Life Saving, Shelly Beach Surf Life Saving Club are staging the world’s only Athletics carnival on the beach at Shelly Beach on the NSW Central Coast. The carnival has events for ages ranging from u8 through to 60+ with Athletics events from 70m through to 2KM, a 4×90 relay and a traditional beach flags event. Shelly Beach SLSC will set an 6 lane track for all events under 200M, with the 500m, 1km and 2km race on the water’s edge. To compensate for the sand, we are reducing each straight track event by 10m per 100m, so in fact, we are setting up a 180m (200 –(2*10m)) straight track along the beach. For the distance runners, poles will be set 500m apart and finishing the day off with a separate area for beach flags. Open to all comers, see if you can take on Surf Life Saving’s best. As a sports person, you are invited to show these Surfies that they don’t have a chance, even on their own territory. While you will be racing in your preferred event, your registration covers you for unlimited events so try some alternatives such as the beach shuttle relay or flags events, please come along and have some fun. Shelly Beach is the perfect location to host this event as it has fantastic back of beach facilities including Muncha’s café, The Balcony Restaurant and Bar and a natural viewing platform for spectators looking down to the Beach. The beach will be open for swimming so you can cool your legs down after you’re finished with an icy dip! It’s going to be a great day for everyone with 2GO FM broadcasting live on site and the Shelly Beach BBQ will be cooking the best Bacon and Egg rolls on the coast. The first 200 registrations receive a free Tee Shirt as a memento of the carnival and all placings will receive a custom made medal. So what are you waiting for, the more entrants this year, more reason to expand the competition for next season and every year after that!! © 2019 Shelly Beach SLSC Beachletics. All Rights Reserved.